The singer aggressively accused Arsenio Hall for being Prince's drug candyman. Sinead O'Connor, 49, is reportedly still missing after 24 hours. The police department told RadarOnline that the singer went for a bicycle ride around 6 a.m. on Sunday in a Chicago neighborhood and never returned back home. "A caller expressed concern for her well-being and no other information is available at this time," the police told Radar, adding that she's considered a "missing suicidal." The singer's previous suicide scare was plastered on her Facebook in November: "Apparently I'm scum and deserve to be abandoned and treated like sh*t even when I've had my womb and ovaries chopped out and my child is frighteningly sick," she wrote. "I'm such a rotten horrible mother and Person, that I've been alone. Howling for weeks." "Well done guys, you've finally got rid of me. Sorry the penny didn't stop sooner. I'm an idiot," she continued. "Everyone is better off. Never ever do this to a woman again," the message read, leaving fans to assume she had "taken an overdose." But besides her suicide scares, Sinead has also been putting her controversial outbursts on full blast, which surround Prince's sudden death — going as far to accuse comedian Arsenio Hall on May 2 through a Facebook post: "Two words for the DEA investigating where Prince got his drugs over the decades... Arsenio Hall." The post was deleted shortly after, but the damage was done. "Arsenio was stunned," a source told Star of the 60-year-old former late-night talk show host, who pointed out in his lawsuit that he "last had contact with [Sinead] approximately 25 years ago." The source adds, "He's on the warpath now, and it's not going to be pretty." 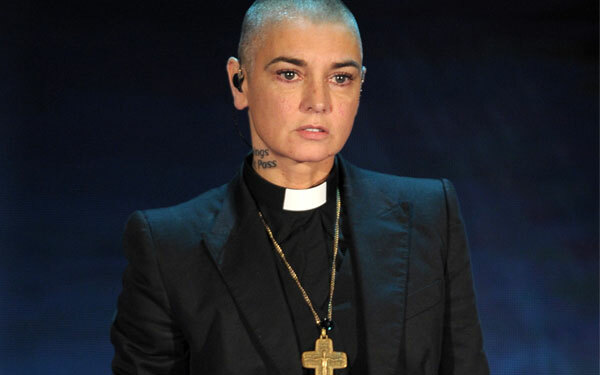 Sadly, it's just the latest controversy for Sinead, who infamously tore up a photo of Pope John Paul II while performing on Saturday Night Live in 1992. Since then, she's attempted suicide twice and been diagnosed with post-traumatic stress disorder.